The outflow of private and corporate capital from Russia is accelerating. Pressured by the cutoff of incoming investment and bank loans, the closure of Russian depositor bank accounts in Europe, and the threat of asset confiscation in the UK – all ordered by US sanctions with threats of more to come — the loss of domestic investment funds continues, undeterred, to squeeze the Russian economy. That is exactly the US war aim. In the history of warfare against Russia, defending by retreating has been tried before, though this isn’t what Russian capital is doing this time. According to the latest Central Bank of Russia (CBR) report, in the ten months of this year to October 31, the total outflow was $42.2 billion. That compares to $14 billion in the same period last year, a threefold increase. This is also the largest volume since the record year of 2014, the start of the US war, when outflow reached $152 billion; and in 2008, the year of the oil and commodity price collapse, when the outflow was $137 billion. The month of October figure for outflow was $10.3 billion, according to the latest CBR report. This indicates even faster acceleration; the aggregate outflow to September was $31.9 billion – a monthly average of $3.5 billion. 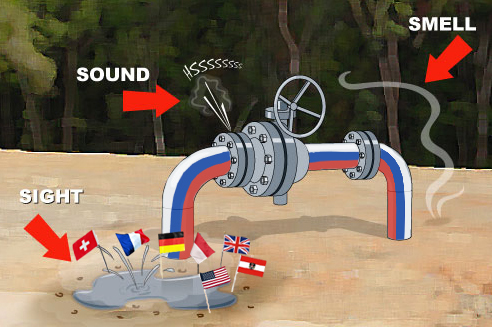 The good news, according to some analyses, is that because the oil price has been rising sharply and the size of Russia’s Gross Domestic Product (GDP) in parallel, the outflow is dwindling as a proportion of GDP — from almost 13% in 2014 to about 4% this year. GDP growth, however, recorded a retreat in October – from 1.9% annualized rate in September to 1.3% in October. The lower figure is now the government’s revised forecast for next year, with an even lower one for the first quarter of 2019. The Russian reason, Klepach said, is fear of war, fear for the future. The International Monetary Fund (IMF), the World Bank and other international organizations have reported their calculations of Russian capital outflow, including both the official Central Bank figures and also what the IMF counts as “hot money”. In total since 1992, the sum is more than a trillion dollars. 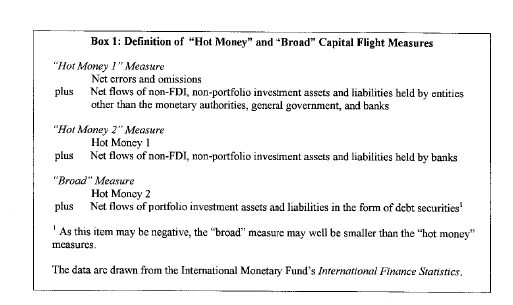 The IMF defines hot money as a combination of the official CBR data and the category of money identified in CBR statistics as “errors and omissions”. In the IMF’s calculation, Russia is the only example of an economy in the world in which domestic economic growth fails to reverse capital outflow, and to attract capital to return. Privatization in Russia is also unique because it has accelerated the rate of outflow of domestic funds, enlarging the gap between domestic outflow and foreign inflow. Hot money is not the same as dirty money. Western journalists and think-tank specialists try to obfuscate the difference between small-scale mafia gangs specializing in their usual trade — drugs, prostitution, extortion – and the much bigger bank robbers who operate from inside the banks themselves, borrowing from the Central Bank and then lending to themselves through dozens of entities which have no intention of repaying the money. In that process, the British Government has connived by granting political asylum to robbers on the run. Boris Berezovsky and Mikhail Khodorkovsky are the best known of them. Andrei Borodin, the accused fraudster who looted the Bank of Moscow, is another Sergei Pugachev is even more notorious because he has been defended by the Financial Times and other London media as a political opponent of President Vladimir Putin. Even without grants of asylum, those who have been charged by the Russian prosecutor-general with fraud, embezzlement and other financial crimes continue to be relieved by the London courts on the ground that the charges are politically motivated, or that the accused couldn’t face a fair trial from potentially corrupt Russian judges. This applied, for example, to the September case of Ilya Yurov, the Trust Bank owner – and three months earlier, the case of Andrei Votinov. In the flight of one trillion dollars of Russian capital since 1992, have the assets created a new class of Russians? does it have an ideology and a political programme for Russia’s future? On which side in the present war does it stand? Elisabeth Schimpfossl’s book of interviews of the Russian rich in London reports that among the conditions of access her interviewees insisted on, one was the refusal to explain how their fortunes had been earned; the other was to discuss what future they see for themselves and for the country. For more details, read this. Notwithstanding, Schimpfossl’s sample demonstrates no intention of returning their capital, themselves, their children, or even their art collections and other toys to Russia. For them there is no deterrent in the intensification of Russia hatred in the Anglo-American media.